After shopping the inventory on-line, I was contacted by Ricky and he was extremely helpful and knowledgeable from the first conversation. I found the exact Jeep Rubicon I wanted down to the last detail - I wanted all the bells and whistles! Ricky followed up with me through e-mails and texts which is convenient for me. I made the trip up from Denver and had to have it! I had to wade through some insurance details before pulling the trigger but he kept in touch with me all throughout. We closed the deal with his brother Ponlue who picked it up right where we left off - Team Pimm Bros! Ponlue even programmed my system and synced my phone - not my strong point! Closed the paperwork with Matt - another awesome guy. Fantastic experience...love my new Jeep! P.S...Already recommended a co-worker who is on his way to buy a Dodge Journey. Mike communicated well throughout. about potential items needed and items not needed that I though I did got 4 recalls, full service, 2 extra needed services all in less than a day! However if I had one concern, it was my seat position changed, radio station changed, petals changed, and had to reset all the computer preference settings. This is the second new vehicle we have purchased from Prestige Dodge this year. Both times, we worked with John. He and the rest of the team made the experience pleasant and seamless. Saw the car online. Put in an online request for more info. Tony called me first thing the next morning. Went to test drive during lunch. Came back at 5 to sign paperwork took about 2 hours in and out. Everything was explained well and they had my car for the length of time they said they would. They also provided a loaner which was fantastic so that I wasn't without a car for the week. I arrived in a Saturday morning without an appointment . I was cordially welcomed and the service was completed in about 35-40 minutes. They took the time to explain what was checked and completed and again the service department was very cordial. Jason as always too good care of me and my Grand Cherokee. I went in for an oil change, then left to go home and the engine light came on so I brought it back to Jason. They ran the diagnostics on the computer and found the problem and thankfully it was covered under warranty. They didn’t have the part so they gave me a ride home. A couple days later I came to pick up the Jeep, but a part they had ordered was defective so they gave me a loaner car on Friday and I picked up the Jeep Monday and it works great so far. Jason went out of his way to explain everything that was happening and made it as easy as possible for me. I highly recommend your service department and Jason to my friends and family. oil change was fairly quick as a drive in and staff was friendly and quick to check into additional work prices that might be required. 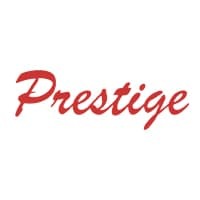 Very nice experience working with all of the staff at Prestige. From my first contact with internet sales to finance, everyone did a great job. Cindy is the best!! !